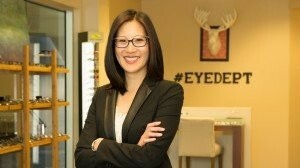 Eye Department; eye care & eyewear is the premier optometry and eyeglass shoppe in Portland, Oregon. Our mission is to practice with purpose; locally and globally. 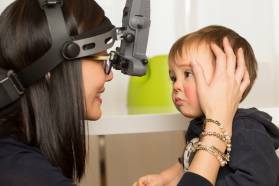 Portland eye doctor Annie Bacon built Eye Department as a patient first eye clinic where each patient receives comprehensive eye health examinations through unrivaled care. Annual eye exams are an important component of healthy living and provide essential baseline information for our Optometrist to diagnose from. Full scope medical eye exams are critical in diagnosing and monitoring eye disease. Dr. Annie Bacon is a lifelong Oregonian who has been a providing eye care and eyewear services throughout Portland for nearly a decade. Dr. Annie is vibrantly active in the community. She has worked extensively with organizations supporting our community’s most vulnerable citizens. Traveling and volunteering with the SEVA Foundation throughout Cambodia was a life changing experience. 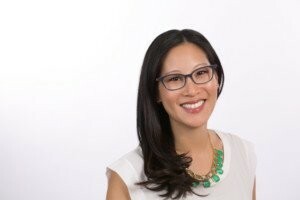 Her personalized approach allows her to develop long term relationships with her patients and she is grateful for the opportunity to provide Optometry services to her friends and neighbors of the Portland community. Eye Department is a patient first practice where we strive to provide our patients and clients with an unparalleled eye care and eyewear experience. Eye Department eye exams include screenings for diabetes, glaucoma, macular degeneration, cataract and other systemic conditions that can be seen in your eyes earlier than anywhere else in your body. Dr. Annie is accepting new patients and most insurances. If, for some unfortunate reason, we are not in-network with your vision insurance plan, we will always accept you even if we are unable to accept your insurance. For many patients, we provide assistance in completing out of pocket insurance reimbursement documentation.